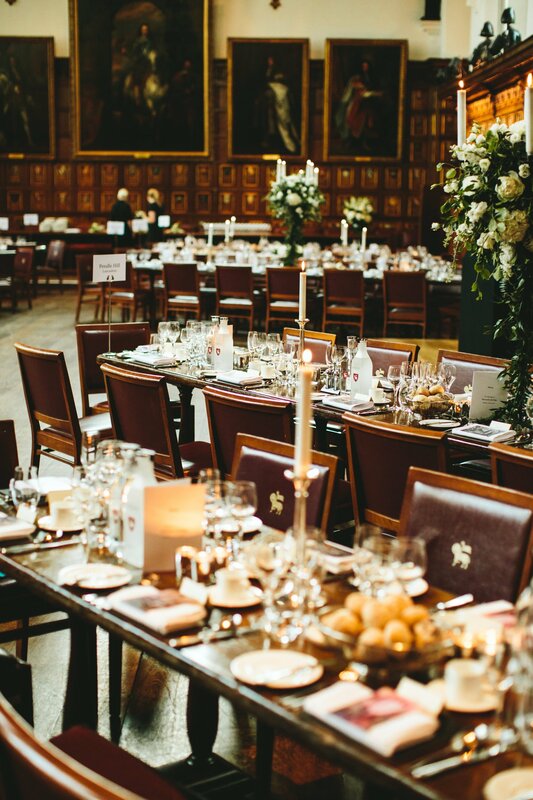 The majestic elegance and secluded beauty of Middle Temple creates the perfect setting for a fairy tale wedding, a unique space that will awe your guests and create memories of a day of wonderment. Rich history and a deep sense of tradition permeate the atmosphere here. 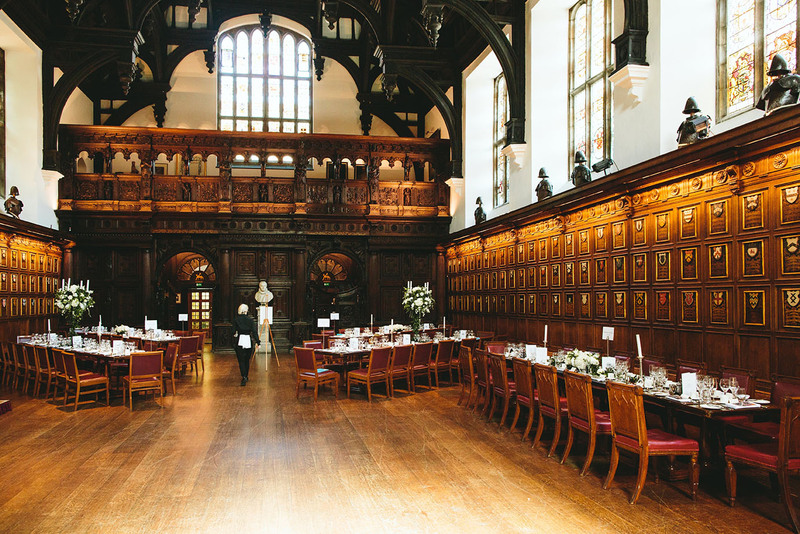 From the towering splendour of the Hall to the tranquillity of the gardens, you’ll be walking in the footsteps of some of the greatest names in history – Shakespeare, Queen Elizabeth I, Sir Francis Drake and many others all trod this hall. 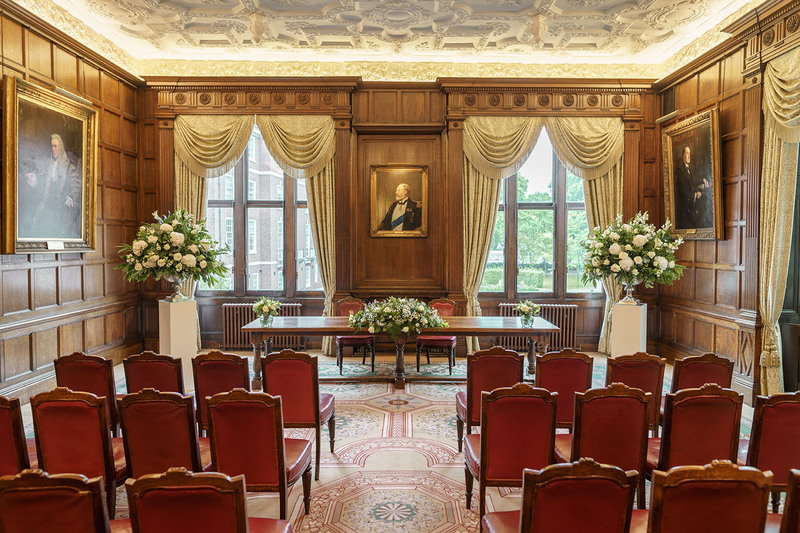 We are licensed to hold ceremonies in all our rooms including the Prince's Room and Hall. 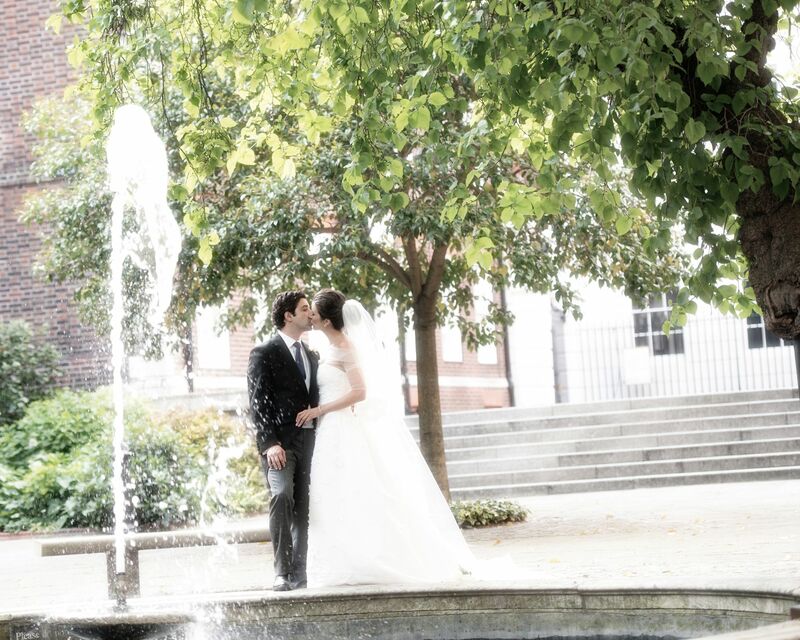 Our wedding brochure is available to view here. 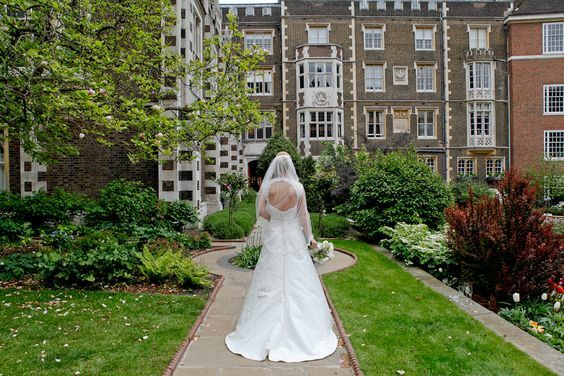 For those wishing to get married in a church, there are several nearby, including the renowned Temple Church for members of Middle and Inner Temple and their families, St. Bride’s in Fleet Street and, for those with a RAF connection in the family, St Clement Dane’s in The Strand. 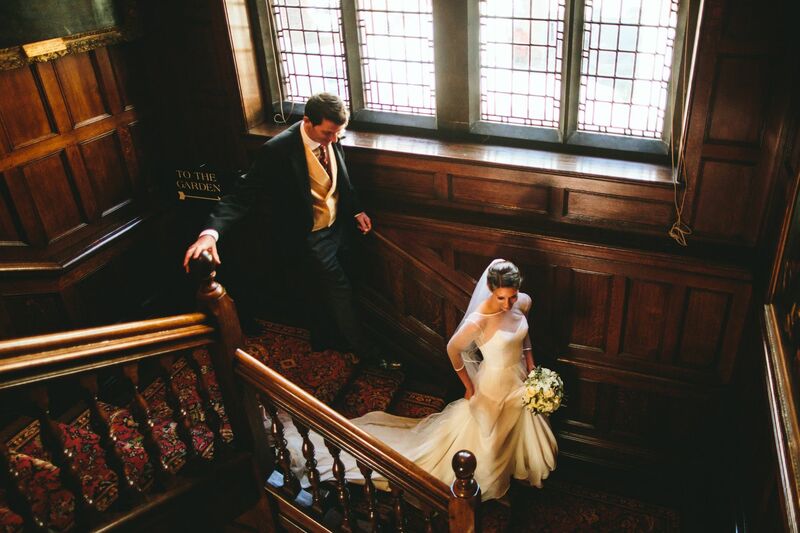 The striking backdrops and gorgeous details of the rooms create exceptional photographs of your day. 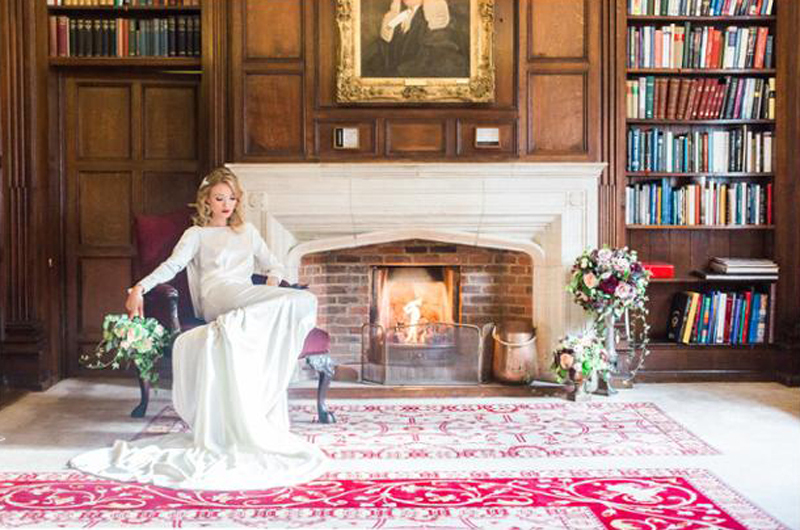 From the elegance of the Prince’s Room, reminiscent of a grand drawing room, to the romance of the award-winning gardens, we will work with you and your photographer to ensure that you have beautiful memories that last a lifetime. 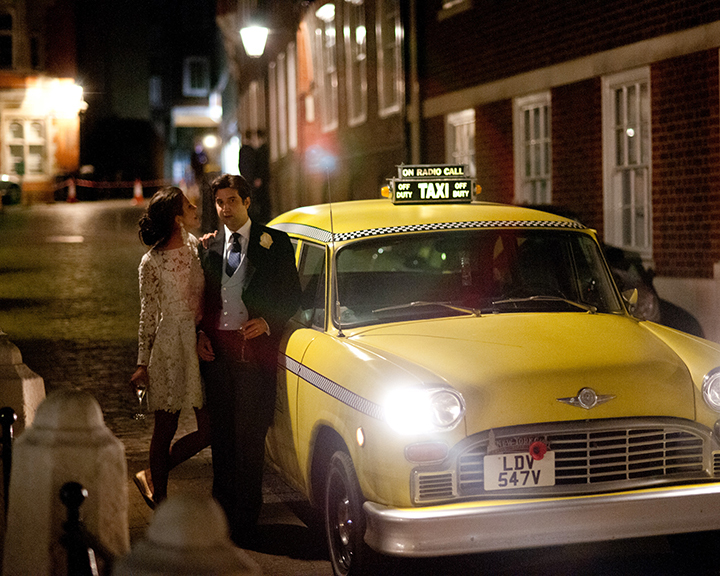 Some of these photographs were taken by Michael Newington Gray and Craig Williams. 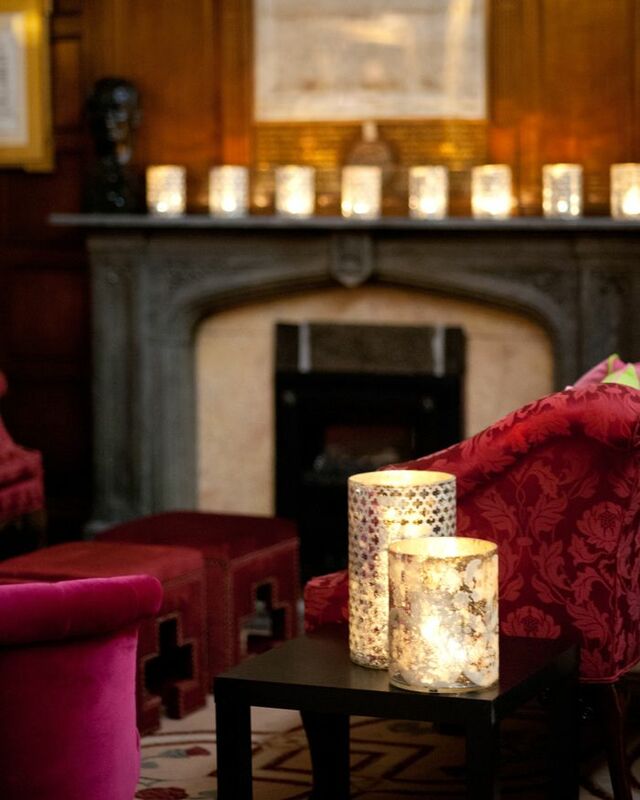 Our friendly and attentive events team will be only too pleased to take you on a tour of this spectacular venue, and discuss the individual requirements of how we can make your wedding day live up to the best of your dreams. You may arrange for an external caterer from our accredited supplier list. Can I bring my own cake and can it be delivered before the event? 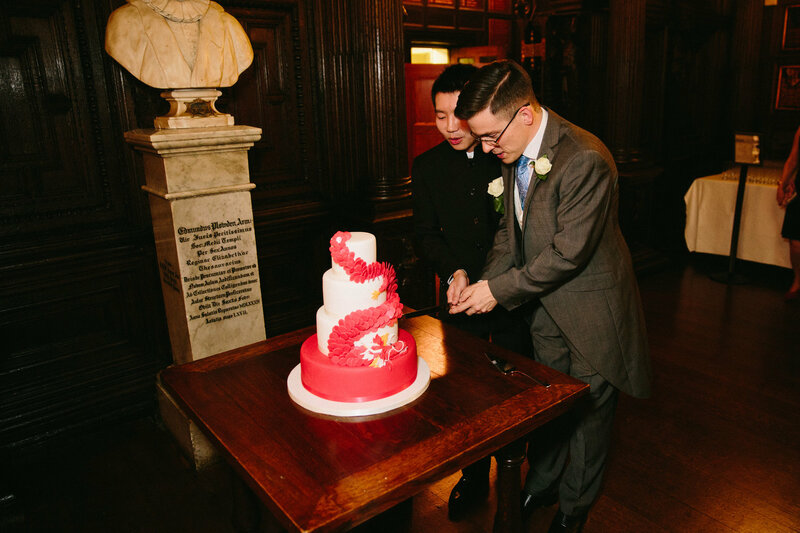 Yes, you can bring your own cake. We cannot accept delivery any earlier than the date of the event. We are unable to assist with the set up of the cake and cannot take any responsibility for the safe keeping of the cake. The Inn is unable to provide onsite parking. What is the childcare policy/facilities? If more than 6 children are expected to attend an event we recommend the use of a professional nanny service. The Inn has no crèche facilities. There is no designated baby changing facility at the Inn, however the cloakroom provides sufficient space. There is limited space at the Inn for pram parking. Please inform the Inn of your requirements at the booking stage. We can provide a tailor made meal for the children. It would be one set menu for all the children within the party. Access times are pending on the individual booking and need to be requested at the booking stage. What is the procedure for late evening and weekend access/exit? Between the hours of 20.30 and 07.00 weekdays and on weekends, the only entrance/exit is via Tudor Street. 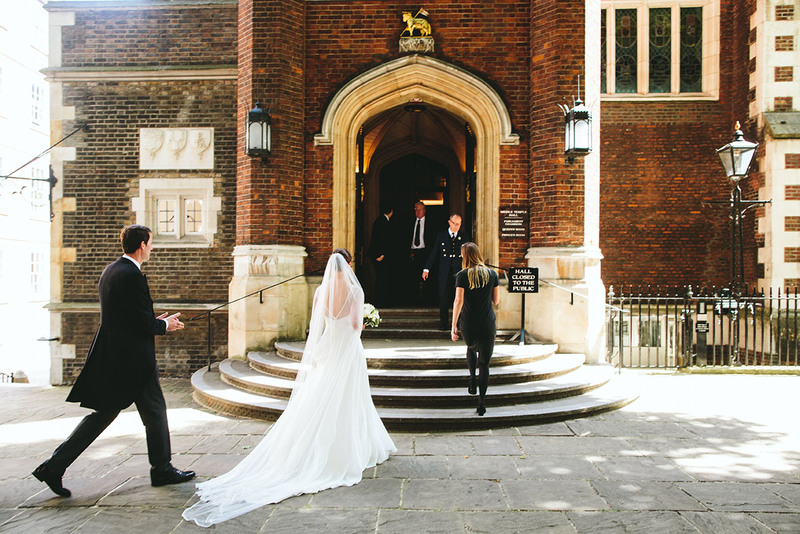 Middle Temple has security on site to manage the premises. 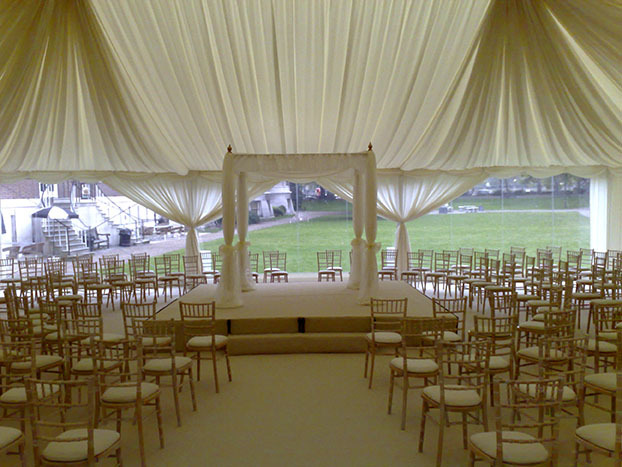 Should you require event specific security this can be arranged in addition to the hire charges. Can the CCTV be switched off? The CCTV cannot be switched off in the public areas. Can my event be recorded? The Hall has the facility to record speeches. Any other recording requirements can be arranged via an external supplier. Are there any audio visual facilities? The Hall has a built in basic sound system. All other audio visual equipment can be hired in on request. Does the Inn have 3-phase power? Yes the Inn has 3-phase power in the Hall. Additional costs may occur. In the Hall only, there is a basic sound system built in. Any specific equipment requirements can be hired in. There are very limited storage facilities at the Inn. Organisers and production companies are asked to make their own arrangements off site. 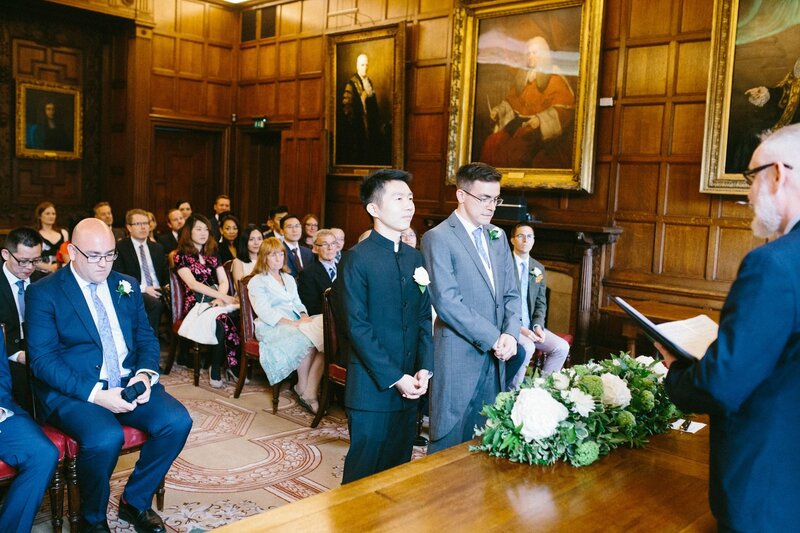 What are the room set-up options? Please refer to the capacity planner on the website. Flash photography is not permitted, please speak to your Event Manager if you have specific requirements. What are the spaces that can be used for photography? 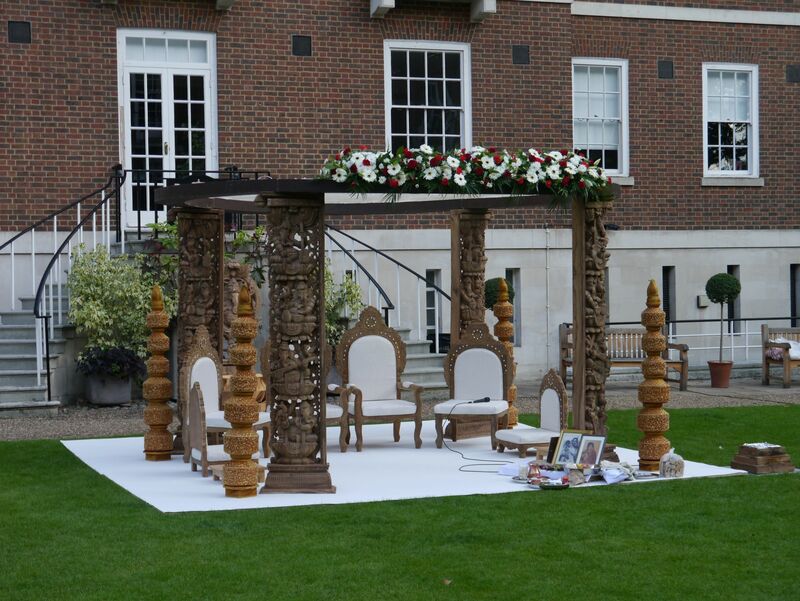 The gardens provide a lovely backdrop, as does Fountain Court and the Princes Room. Is the furniture included in the hire? Yes all existing furniture is included in the hire fee. What are the deposit payment requirements? We require a 50% deposit of the estimated total value of the event with the signed contract. Final and full event prepayment is required 30 days before the event. 6 months or more before the event 25% of the hire fee. Within 3 months of the event 50% of the hire fee. Within 6 weeks of the event 75% of the hire fee. 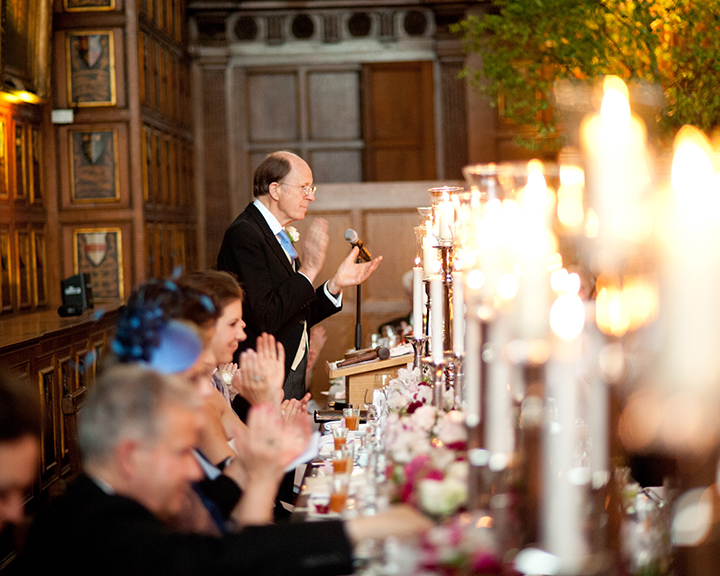 Within 2 weeks of the event 100% of the hire fee plus 50% of the catering charges. 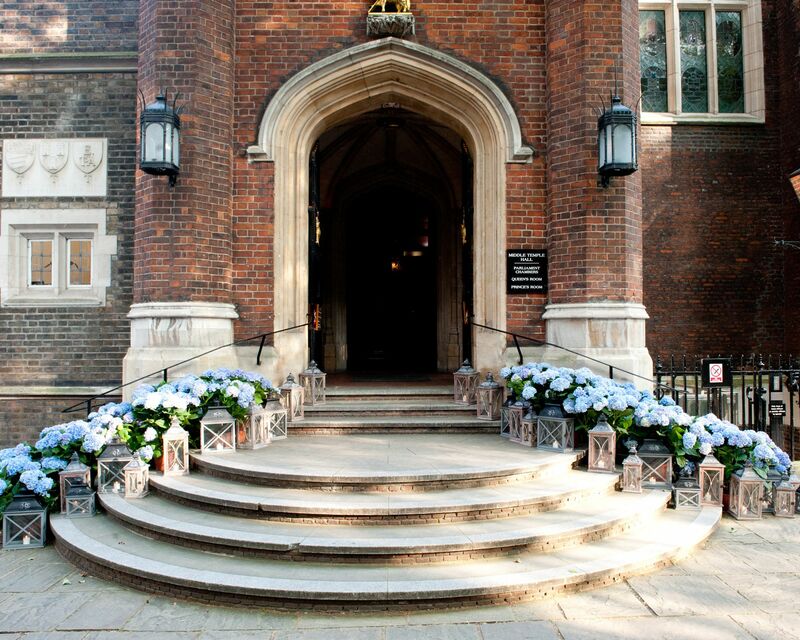 Middle Temple is a residential area and sound levels must be kept to a reasonable level at all times. The maximum decibel level is 85. Is a late night licence included? All events have a finishing time of 23.00hrs. An extension can be granted till midnight at an additional hire charge. Please see here for information on accessibility. Dried confetti is not permitted within the premises of the Inn. Fresh white whole flower petals may be permitted for use as confetti outside only. We only permit guide dogs within the premises. Can I bring props for my event? Yes as long as they are free standing. Do you have lighting packages? Specific lighting requirements can be arranged via one of our accredited suppliers. 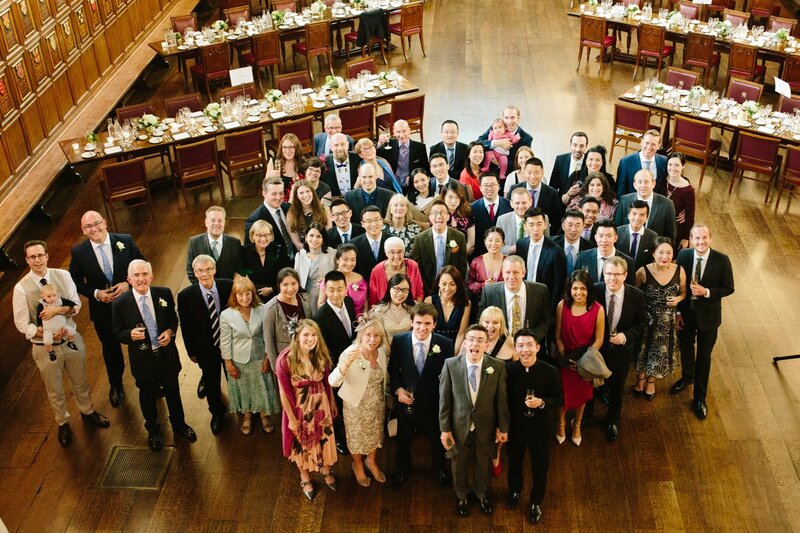 We are enormously grateful to you for Saturday’s wedding reception. Everything was managed with efficiency and good humour and it was reassuring to be able to feel –as we did – that all was in safe hands. 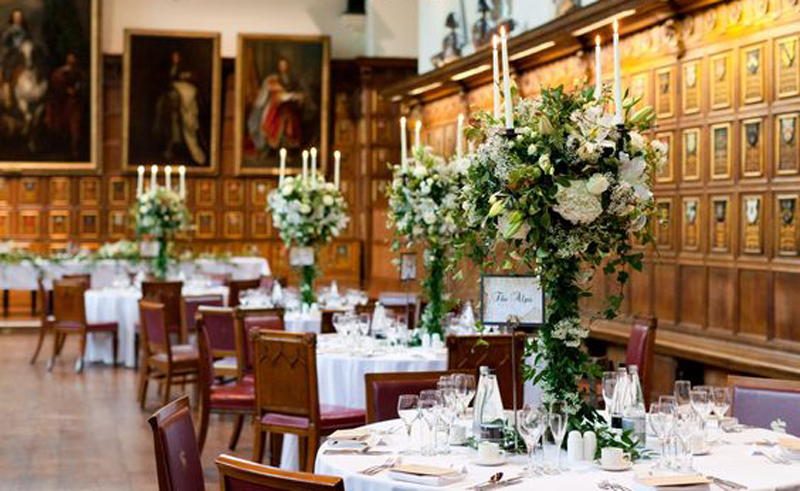 I may seem biased, being a member of the Middle Temple, but the event they put on for my daughter’s wedding can only be described as mind-blowing. 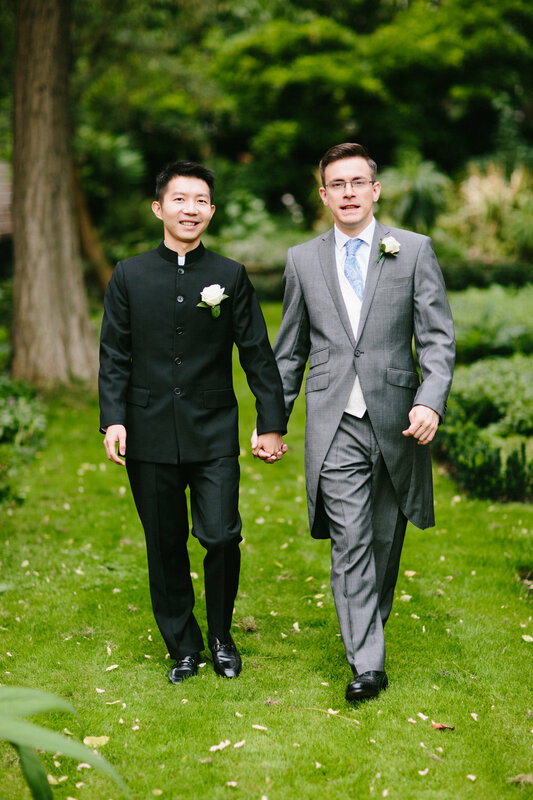 I am writing to thank you for what you and your staff achieved at our son's wedding last week. Your staff were great especially in dealing with complicated wines and magnums. We just wanted to say a huge thank you for everything yesterday. It was flawless. You made the whole thing so easy and it was exactly the day we'd had in our heads. Nothing was too much trouble. 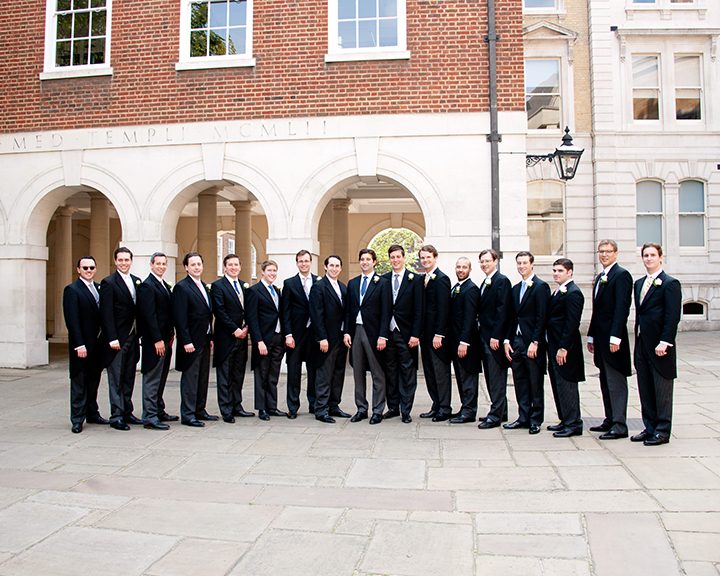 Thank you and your team for all your efforts in organising the wedding on Saturday. 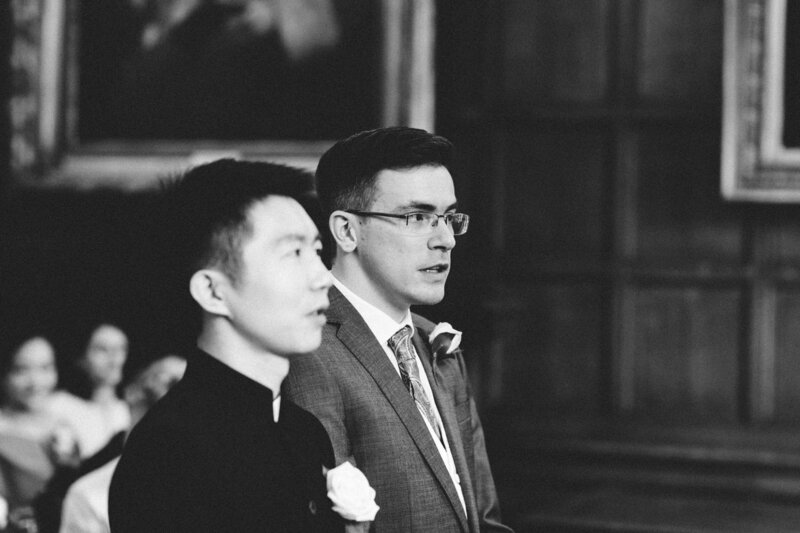 I think we are all agreed that it went marvellously, and we are most grateful for your help in making an unforgettable day. 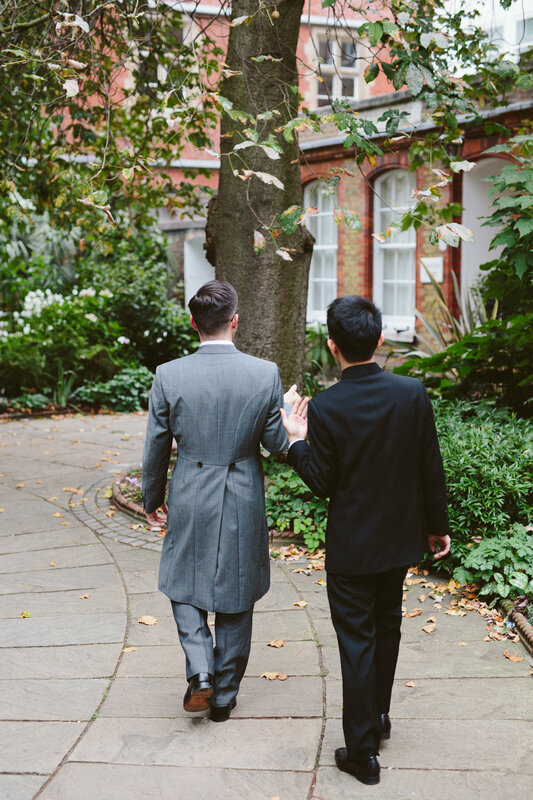 Thank you both so much for your superb organisation and handling of our wedding yesterday. 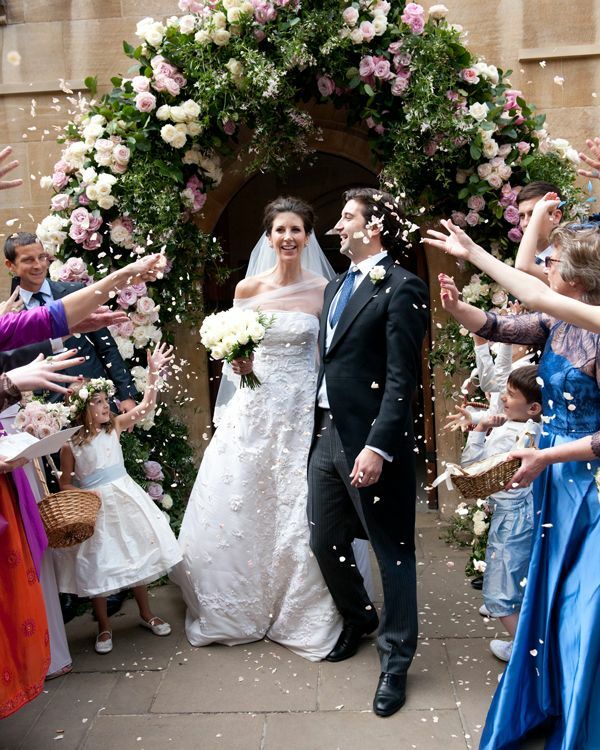 It really was the most incredible day and we absolutely loved every minute. 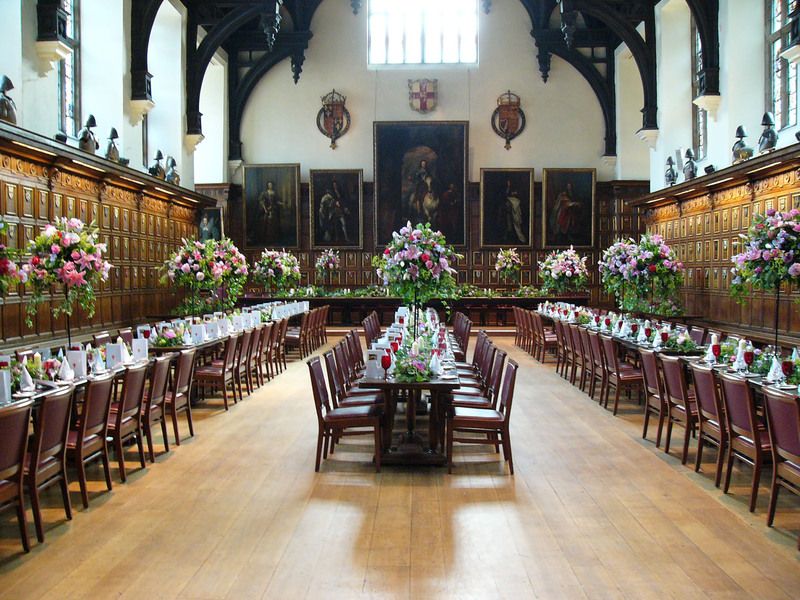 Middle Temple gardens and hall really impressed our overseas guests.